Human resources records can be used to evaluate an employee's job performance. 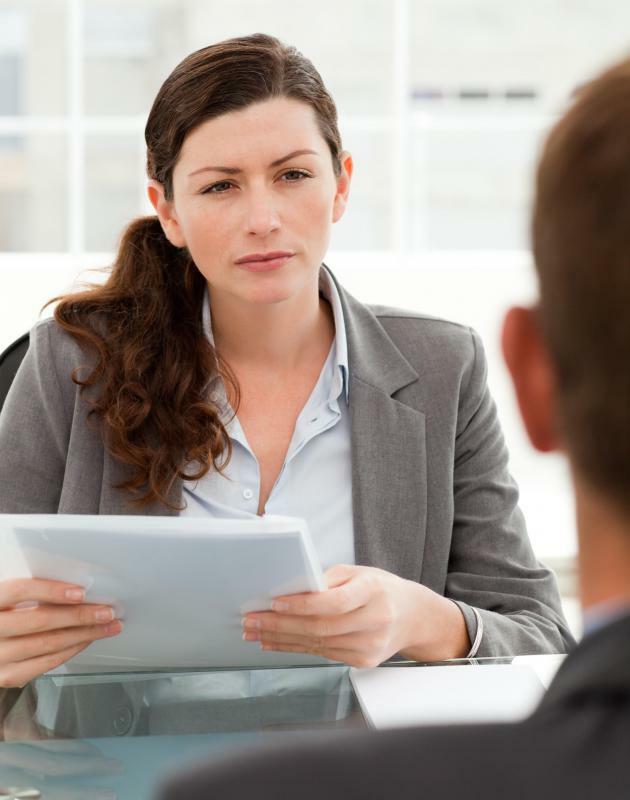 Job performance can be measured by using appraisals. Businesses can measure job performance by using appraisals, setting objectives, conducting cost analyses and reviewing human resources records. Appraisals are usually completed by a manager, employee or team to grade performance on specific tasks or projects. Setting specific objectives is a method of measuring job performance by gauging performance on the employee's ability to achieve goals. Using the cost analysis method to measure job performance is useful in verifying that the employee's performance is cost effective, or valuable to the organization. HR records, such as absentee and previous appraisal records, can help employers gain an overall perspective of an employee's performance. Appraisals are the most common method for employers to measure job performance. The purpose of an appraisal is to rate or rank the employee's performance in several different areas, on specific tasks or competencies. They are often done on an annual basis, but some organizations use appraisals quarterly or semi-annually to monitor performance more closely. There are different methods of conducting an appraisal, such as by the employee's manager, coworkers or team. In order to remove potential biases, the questions in the appraisal should be specific to the job and the responses verifiable. Setting specific objectives that are realistic and quantifiable is another way to measure job performance. Objectives should also have a specific deadline with milestones detailed so that there is no confusion between management and employees. By including milestones, management can more easily monitor employees to make sure they are on track to reach objectives. Employees are then rated on how well they accomplished their objectives per instructions, and if they were able to do it within the deadline. Conducting a cost analysis is another way to measure job performance by comparing the results of an employee’s contribution to the cost of keeping that employee. This measure of job performance is usually beneficial when done in combination with another method of measuring performance, such as using appraisals or setting objectives. Special circumstances outside of the employee’s control should be considered when using this measure since these factors can skew results. Management can use HR records to measure job performance to gain an overall perspective of the employee's historical and current performance. These records include attendance, violations, rewards, achievements, bonuses and historical performance reviews. They should also be used in conjunction with another measure of job performance to see if there are special circumstances relating to an employee's job performance. For instance, a death in the family could result in having several absences, making an extraordinary number of mistakes, and losing motivation. What Is a Job Performance Analysis? I like how some service based companies request customer feedback nowadays. I think they use them to asses job performance. I'm sure it's effective. I think that peer appraisals or appraisals by those in different positions in the workplace is a good way to measure performance. I think this type of appraisal is more objective than manager appraisal. In some workplaces, management has the employee appraise themselves. This may not necessary be a good way to measure performance. But if the employee's view of what is expected of him is different than the management's view, this is a good way to find out. Because if these views do not match, job performance will affected negatively. Setting objectives is a good way to measure job performance but I think that in order for this method to be accurate, the objectives and expectations have to be realistic. Setting unrealistic objectives, deadlines or not giving employees the tools to accomplish these objectives means that they are being set up to fail. Job performance results will naturally be poor but this will not reflect how the employees are performing in reality. Setting unrealistic objectives is also a great way to reduce employees' job satisfaction, which in turn leads to even poorer job performance. So I think that management have to be careful when setting objectives for the purpose of evaluating performance. It can be a tricky tool.